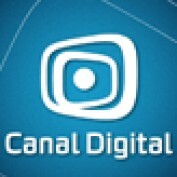 Canal Digital is one of the largest TV providers in Europe. The company was started in 1997 as venture between the media giant Canal Plus and the Norwegian mobile operator Telenor. Today, Canal Digital have more than 3 million customers and the company is constantly looking to improve the quality of the services they are offering. The website of the company is www.canaldigital.dk and you can visit it for more information.